Control or Surrender? How do we respond to the Heart of Jesus? 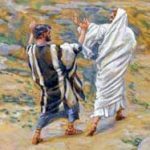 How many of us — whether we live in the everyday world, in monasteries, in rectories or wherever — can relate to the human propensity to control a situation instead of surrendering it to the Lord? 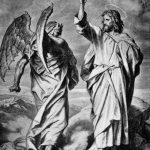 Even the great saints were tempted to resort to this tactic when they did not understand what the Lord was doing… Take St. Peter for example. 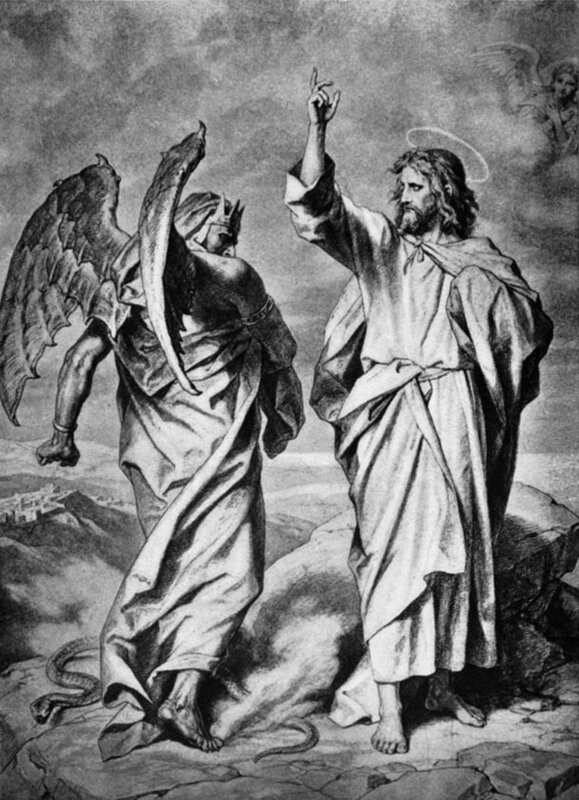 Recalling the Gospel passage from Matthew (16:23) and Mark (8:33) we may wonder why Jesus so harshly responded to the chief of apostles, saying “Get behind me, Satan!” The reason for this rejoinder, so out of character for the gentle Jesus, must have deeply disturbed the Lord. Take a closer look at this passage. We see that Jesus had just plainly spoken to His disciples for the first time about His plan to go to Jerusalem where He would suffer, be killed and then three days later be raised to life again. This information clearly shocked the apostles, especially Peter, who in the previous Gospel paragraph had pronounced Jesus to be the Messiah, the Son of the living God. The Lord had blessed him for this profound declaration, calling him the rock upon which His church would be built. 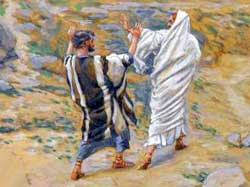 Now Peter takes the Lord aside to rebuke him. “Heaven forbid,” he says, “This is not going to happen to you!” Doesn’t Peter sound like he’s desperately trying to control the situation? He simply could not reconcile his views of a conquering Messiah with the suffering and death Jesus had predicted for Himself. Peter, the rock, thinks he knows better than God incarnate and protests Jesus’ fatalistic mindset. Falling into the trap of putting his plans before God’s plans, Peter tries to control Jesus, not surrender to him. Unwittingly, Peter is suggesting that Jesus be diverted from His heavenly mission of salvation. Peter is doing the devil’s bidding, not God’s. Jesus uses shock treatment to wake him up! When the Lord makes some reproach to the saints, to St. Gertrude or to St. Margaret Mary for example, He often laments their lack of abandonment to His holy will. We can detect this in the life of Saint Margaret Mary, who was privileged to receive in her lifetime (1647— 1690) about forty revelations from the Sacred Heart of Jesus. The Lord carefully prepared her for her great mission through suffering, prayer, and special guidance. Her sufferings were to continue to the end of her life. But shortly before her death, she wrote that she had finally understood what the Lord expected of her when He said to her, “Let me do it.” She explains, “The Sacred Heart will do everything for me if I let Him. He shall will, He shall love, He shall desire for me and make up for my faults.” In other words, what the Sacred Heart desired most from our saint — and from all of us, really — was the practice of surrender to his Most Sacred Heart. He wanted His divine power to work through her, with as little resistance as possible. No longer would she think with her own intelligence, but with God’s wisdom, no longer would she see things according to her own limited perception, but she would see things as God sees them, no longer would her heart love according to its capacity, but she would love how the Heart of Jesus loves, and detest what He detests. The Sacred Heart will do everything for me if I let Him… And there’s the rub. Do we really want to surrender, even to the Lord Jesus? Sounds scary, doesn’t it… What will happen to us if we dare do such a thing? Will we have to give up our comfortable lifestyle, our positions of influence, our ways of doing things, our health, our addictions, the power we have over ourselves and others? This talk on Sacred Heart Spirituality was given on March 5th, 2017 by one of the Sisters of the Visitation of Holy Mary at the Visitation Monastery in Tyringham, Massachusetts. The next talk will be held on Sunday, April 2nd, 2017 at 4:00 pm. All are invited to attend.